The Chinese authorities plan to shut the last coal-fired power plant in Beijing and replace it with gas-fired plants in 2016 in order to reduce the critical levels of pollution in the city. 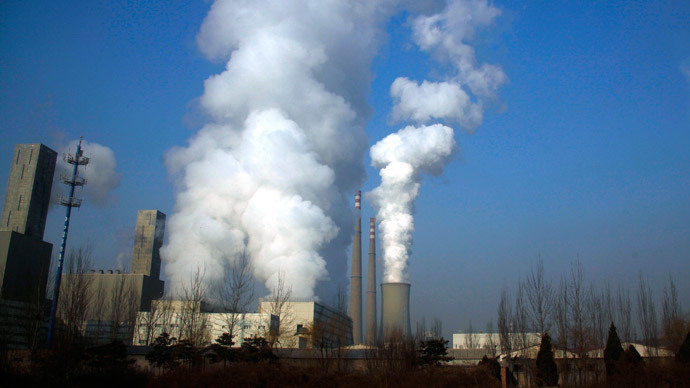 Beijing authorities intend to stop the China Huaneng Group 845-megawatt coal power plant in 2016, according to the city’s economic planning agency. Last week, the city closed the plants owned by local Guohua Electric Power Corp. and Beijing Energy Investment Holding Co. In 2014 the authorities shut down the fourth major coal powered plant owned by China’s Datang Corp.
Coal-fired power plants will be replaced by four gas-fired with at least double the capacity says the agency. By 2017 the Beijing authorities plan to reduce coal consumption by 13 million metric tons from 2012 levels in order to reduce the poisonous concentration of pollutants in the air. The closure of all large coal power plants in the city would reduce annual coal consumption by 9.2 million metric tons, Bloomberg reports citing Tian Miao, analyst at North Square Blue Oak Ltd in Beijing. The emissions of carbon dioxide in the air, in turn, would be reduced by roughly 30 million tons. The use of coal started slowing in China as the government made a point of increasing the use of alternative energy sources, such as hydroelectric power, solar and wind. The country is also about to restart its nuclear power program. China aims to bring its share of non-fossil energy to 15 percent by 2020 and 20 percent by 2030. Other measures the Beijing authorities plan to take to reduce environmental pollution include the closure of air polluting enterprises and the reduction of cement production. China’s been suffering a pollution crisis for decades which has left big cities shrouded in constant smog and half the groundwater contaminated. The pollution from the coal industry alone killed 670,000 people in China in 2012, according to last year’s study by the Natural Resources Defense Council.